Heat oven to 350°F. Let cookie dough stand at room temperature 10 minutes to soften. 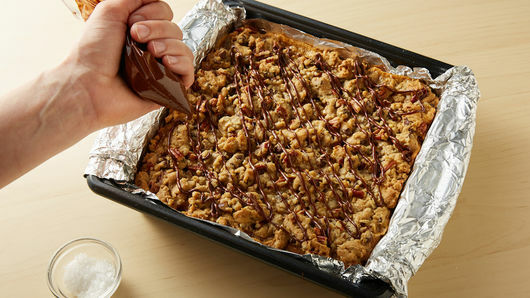 Spray 9-inch square pan with cooking spray, or line with nonstick foil. In large bowl, break up cookie dough. Stir or knead in oats. Reserve 1 1/2 cups dough in small bowl for topping; set aside. Press remaining dough evenly in pan. Bake 20 to 22 minutes or until light golden brown. Cool 5 minutes. In small bowl, mix caramel topping and flour until well blended. 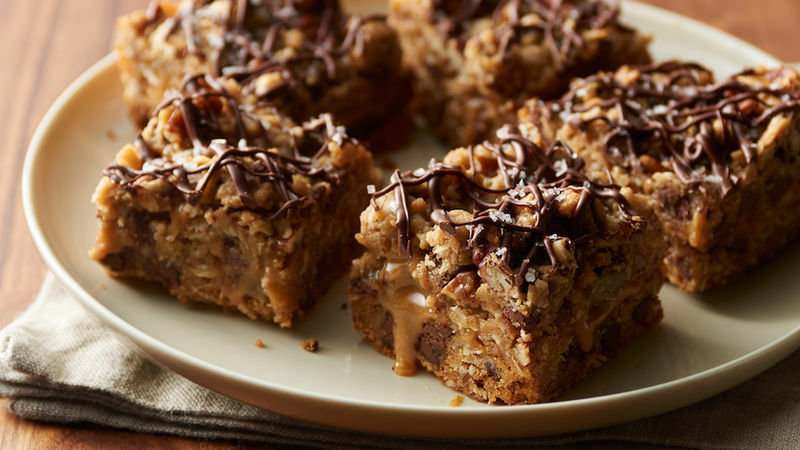 Using spoon, drizzle evenly over bars to within 1/2 inch of pan edges. Mix pecans into reserved dough. 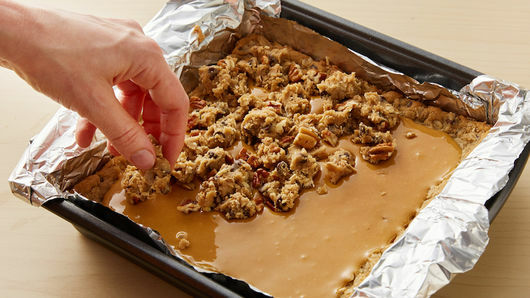 Crumble evenly over caramel. Bake 25 to 28 minutes or until golden brown. Cool completely, about 1 1/2 hours. In small microwavable bowl, microwave chocolate chips uncovered on High 45 seconds to 1 minute, stirring until melted. Place in small resealable food-storage plastic bag; cut off small corner of bag, and squeeze to drizzle over bars. Sprinkle with sea salt. For bars, cut into 4 rows by 4 rows. Store tightly covered at room temperature. 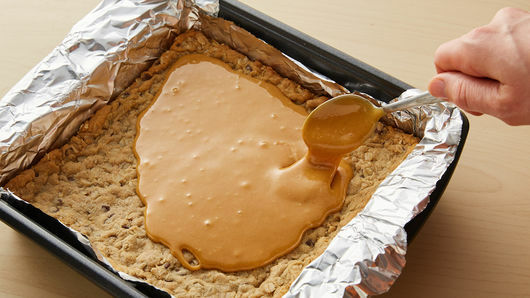 To remove and cut bars easily, line pan with foil, leaving about 2 inches of foil hanging over edges of pan. 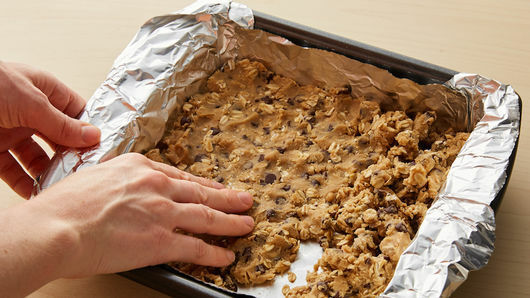 After baking and cooling, lift by edges of foil to remove bars. You can refrigerate the bars to set up the drizzled chocolate quicker.